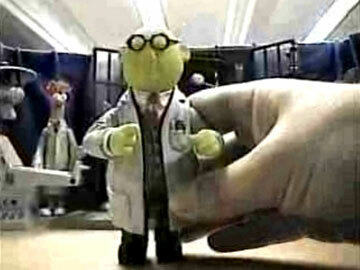 Dr. Bunsen Honeydew is Kermit’s guest again, this time with his cloning experiment. 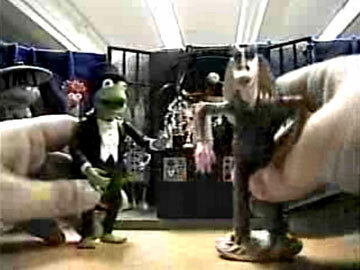 Kermit is looking for a human volunteer so Jar Jar didn’t pass the screening test. Even Spiderman tried to apply but he freaked Kermit out. 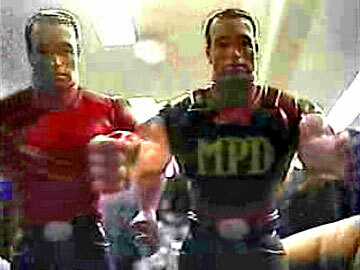 Their very own security man, Arnold Schwarzenegger, ended up being the volunteer. The cloning didn’t work out well, but it became a reminder that we are made in the image of God. This entry was posted on Monday, April 2nd, 2018 at 12:00 pm	and is filed under Arnold Schwarzenegger, Beaker, Creation, Dr. Honeydew, Jar Jar, Kermit, Miss Piggy, Season 1, Spiderman. You can follow any responses to this entry through the RSS 2.0 feed. You can leave a response, or trackback from your own site.